Easy to setup and easy to use. No time limits. Unlimited transactions. 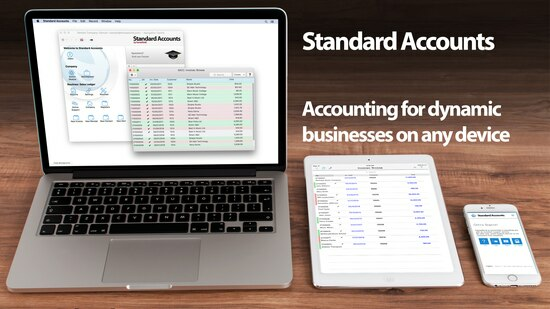 From a small one-person to a multi-person company, Standard Accounts will grow with you. Use the free version for invoicing, bookkeeping, and reporting. Keep track of your contact and products. Manage your business and invoice your clients from anywhere using any device. Subscribe to premium functionality only when you need it.